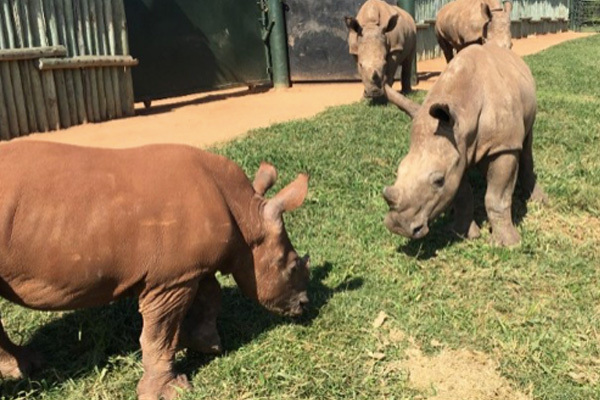 Baby Rhino Summer at Baby Rhino Rescue | Adopt and Donate Now! On February 5 2018, Care for Wild received an alert about an orphaned baby rhino whose mother had been poached in the Kruger National Park. A park veterinarian darted the orphan from a helicopter and then Care for Wild transported her to the sanctuary. They named her Summer. Fortunately, she was neither dehydrated nor cold, and all her vital signs were good. But the splashes of her mother’s blood all over her body graphically depicted the horrific ordeal that this baby had experienced. After a cleansing sponge bath and rest in a lovely soft, warm bed, she drank her first bottle of milk. Two days later, her blindfold and earplugs were removed. Although initially uneasy, Summer settled in quickly after enjoying another warm bottle of milk. Later that week, when she was confident enough to walk outside, her caretakers weighed her. She was just perfect! Two weeks later, Summer was introduced to Khanya, Rose Petal and Rubybelle -- she clearly loved Khanya’s company the most. 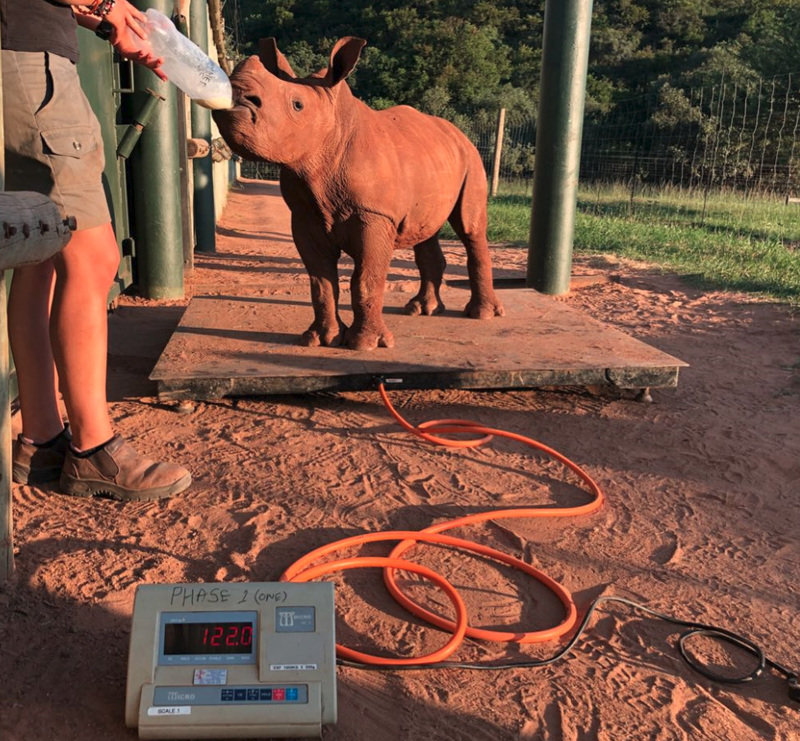 But after a cold spell, Summer had to return to the ICU boma where her caretakers could nurse her runny nose, keep her warm, and monitor her closely. She soon gained weight and was reunited with the older orphans, her crash. Summer’s caregivers are thrilled with her ongoing progress. She is a confident and rambunctious young devil, and loves nothing more than a good sprint down the road!